Alvechurch butcher Paul Queen has added to his tally of accolades. 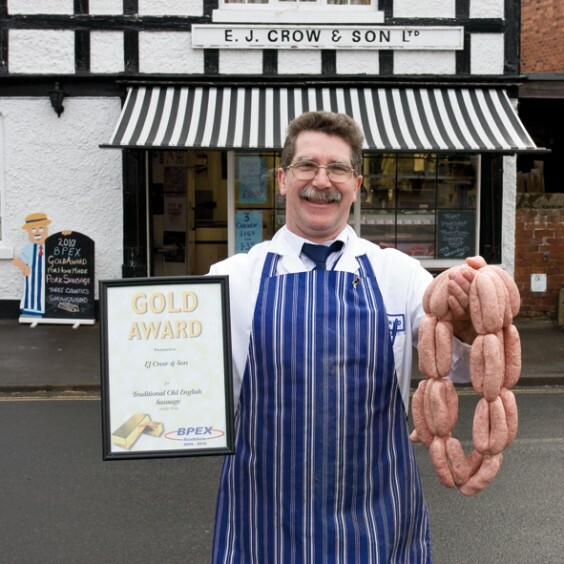 The director of EJ Crow & Son is pictured with his Gold Award for traditional old English sausages. The award was made by the British Pork Executive at the Three Counties Showground. Paul has previously won five gold awards for his sausages as well as recognition for his bacon and lamb-burgers.